1. 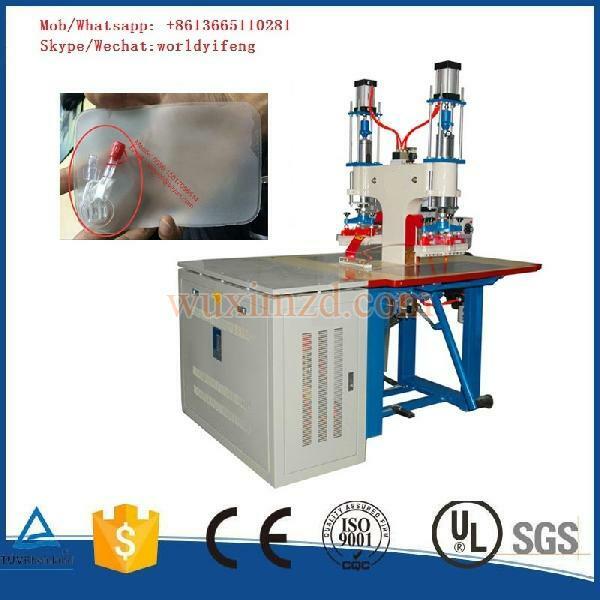 Double Station High Frequency Welding Machine is suitable for welding mouse pad, Large folder, leather pattern, PVC bag, PVC Pattern, watercolor etc 2. Used for welding various plastic welding and melting meanwhile exscind the useless edge automatically. 3. It is fit for welding PVC/PVC, PVC/Card, special plastic material (PE, PS, PC, PET and APET). Blister packing (double blister welding, blister and card welding), leather stamp, logo, writing case, toys, plastic cover, cushion and packaging bag welding; Three-dimensional letters press and bronzing.